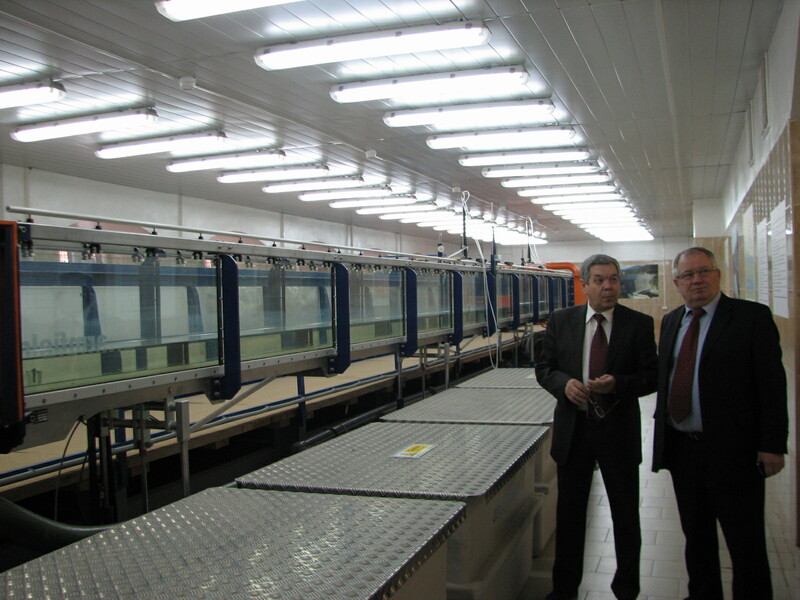 The Department is a foreign member of Association of physics departments of technical colleges of Russia (2006). – Cooperation agreements with the Penza State technological academy (the Russian Federation), with Inter-regional public organisation the Siberian Power Academy, Novosibirsk (Russian Federation) are signed. – The memorandum with «the Siberian state auto-road academy (the Russian Federation, Omsk), with «the Oryol state agrarian university» (the Russian Federation) is signed,with the Fraunhofer Institute (Fraunhofer IFF, Germany). .
– The contract about scientific and technical cooperation with the Ukrainian research and design institute of mountain geology, geomechanics and surveying affairs of National sciences academy of Ukraine is concluded. – Framework agreement with Novosibirsk State Technical University (NSTU) is signed. Teachers improve their skills at the Moscow State research universities “MiFi” and “MAI”. 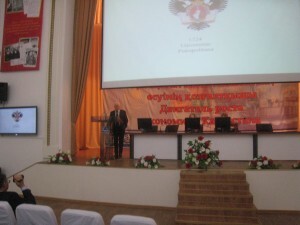 – «Modern technologies of development mineral resources» (Krasnoyarsk , the Russian Federation). Successful participation in the International exhibition devoted to the 20 anniversary of Commonwealth of the Independent states of “20 years of the CIS», has been noted by the All-Russia Exhibition Centre diploma (Moscow). 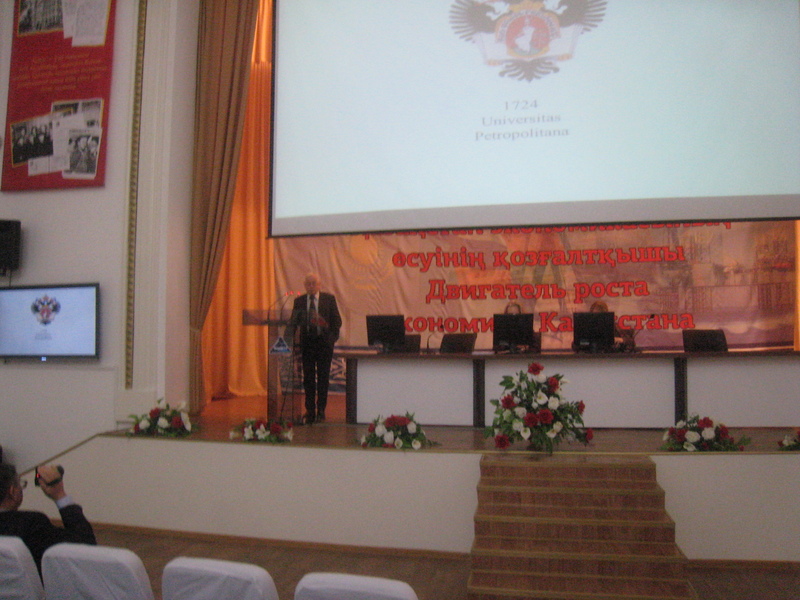 Speech Doctor of Physical and Mathematical Sciences, Professor Smirnov Mikhail on scien-tific seminar KSTU. 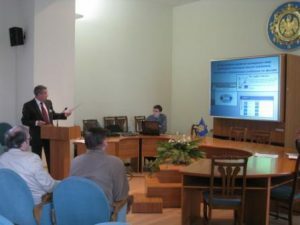 Under the project of the program of ErazmusMundus «EuroAsian Starter for Technikal Academic Network Application – eASTANA» (the Euroasian Starter for the tehniko-academic network – еASTANA) Smirnov Y.M. is appointed by the executor of the project. Projects on carrying out of the international physical olympiad of pupils with the St.-Petersburg state pedagogical university of A.Herzen are realised.